Broadway’s biggest blockbuster returns to Orlando when Wicked takes the stage at the Dr Phillips Center for the Performing Arts January 11-29, 2017. The surprising tale of an unlikely friendship between two women in the Land of Oz, Wicked tells the untold story of the Wicked Witch of the West and Glinda the Good, long before Dorothy dropped in. 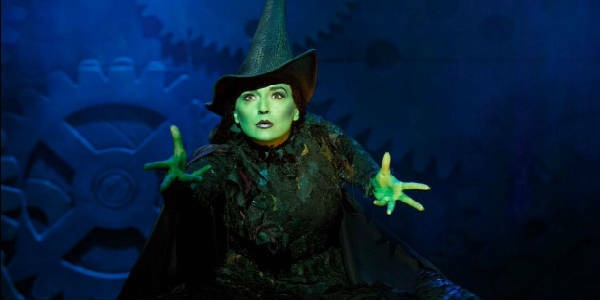 Elphaba (Jessica Vosk), born with emerald-green skin, is smart, fiery and misunderstood. Glinda (Amanda Lane Cooper) is beautiful, ambitious and very popular. The remarkable odyssey of how these unexpected friends changed each other’s lives for good has made Wicked one of world’s most popular musicals. Based on the best-selling 1995 novel by Gregory Maguire, Wicked is the winner of over 100 international major awards, including a Grammy and three Tony Awards. For more information, visit WickedTheMusical.com. Tickets start at $42.75, for shows Tuesday through Sunday. They may be purchased online at drphillipscenter.org, by calling 844.513.2014 or by visiting the Dr. Phillips Center Box Office.